Revenge is in large supply for Santy, Leo, and Dean as they look to supply payback to local drug dealers for all the misery they inflict on the community they push drugs through. Santy is the ringleader and demands loyalty from Leo and Dean if they join “the pact” of taking out the trash that is peddling drugs to their neighbors. Once the Leo and Dean have sealed their deal with Santy, they begin to realize how far he is willing to go to rid the streets of the local dealers. All is going according to plans until the three men realize the cops are onto them and the only way the cops would know about their murderous activities is if a “rat” turned them in. The race against time and the law is on and they need to figure out who has turned against the pact and betrayed their trust. Each man is forced to question everything they know about the others as they realize there is no one they can really trust. I found this book to be a balls-to-the-wall ride that leaves the reader with torched finger tips from turning the pages so quickly and leaves the reader short of breath from anxiety as Delaney ratchets up the suspense till the book seems poised to explode from the tension. At this point, I find myself looking forward to the middle of each month so I can get my hands on the latest release from Number Thirteen Press. Their plan is to release 13 books and then end the fun??? If they think they can give us these types of books and we are all going to let them ride off into the sunset after they publish 13 books, they are out of their bugging minds. I will start the revolution myself if need be. This publishing outfit needs to hunker down for the long haul and come to grips with the fact their business model is being forced into a new direction. We need them to just keep turning out books at this pace and never look back. Bravo to them for their ability to sniff out winners in a crowded publishing world. 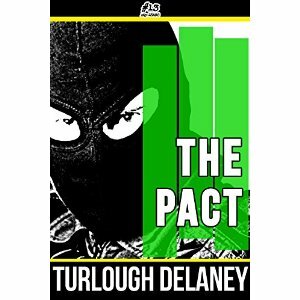 Bravo to Turlough Delaney for having written one of their strongest books (and if you have read their other 7 books you know that is a great compliment…if you haven’t read their other 7 books you are dead to me). When you swing, swing hard. When you close your fists, make sure to clench them tight, tight, tight. When you step, step hard and leave a deep boot print….When you clock in, work until the clock says ‘time to go home’. …When you imagine love, imagine your palms touching cream-white skin and conjure some kind eyes and soft lips. When you swing, swing hard. – Redbone by Matt Philips. There is just so much to like about Redbone by Matt Philips, which is a great read from beginning to end. The thing that I liked most about this book is that while the main character Calvin is pushed too far and he snaps, he does it for reasons of moralistic integrity. He does it for friendship, for honor, for his hometown, and most importantly, he does it because he truly feels a man needs to stand up for something and someone. In many ways Calvin is painted as a hero and an anti-hero in the same paragraphs. 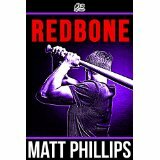 While that statement might seem contradictory, Philips’ writing is so multi-layered and deep it fills his characters with a realness that is usually lacking in novels. Calvin is a character that will have you sympathizing for him and his plight. What seemed like it was going to be a “man goes crazy” plot became so much more as we learn more about Calvin. This book left me with a sense that Philips will be an author to watch out for. While his writing style was perfect for this book, there is an underlying sense that he will be getting better and better as time goes on, and I for one will be marveling at all the books he comes out with in the future. I am not sure why I have never had B.R. Stateham on my radar before reading A Killing Kiss, but this book has put him squarely in my sight and I couldn’t be happier. 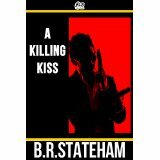 A Killing Kiss, the 6th book published by Number Thirteen Press, is my kind of book; quick plot, engaging characters, and lots of violence and action. When crime boss Jacob Menten is killed, his wife and baby son are left in the middle of a potential mob war, as Menten’s underlies battle for his vacated throne. In one of his final acts before being murdered, Mentan had reached out to Smitty, an old hit man with a moral compass that refuses to allow the thought of an innocent woman and child being hurt pass by without rectifying the situation, and asked Smitty to protect his family should anything happen to him. When he is found murdered Smitty comes to town to protect the innocent parties and to find out what happened to his old comrade. This book served a few purposes for me as a reader. First and foremost, it kept me entertained and engrossed in a story that had a lot going for it. The book is well written and pulled me in from the very beginning. Secondly, it introduced me to a new author that has good writing chops and I am interested in seeking out some of his older works. I was happy to see that he has other works that have Smitty as a character. Lastly, this book further cements Number Thirteen Press as a publisher that clearly has its eye on the prize. They have put out nothing but topnotch books that prove size doesn’t matter when it comes to great books. If the plot is tight, the characters real, and the writer writes what they love, the book will engage the reader and reader can feel it. The latest release by Number Thirteen Press is one hell of a explosive firecracker. 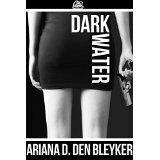 Dark Water by Ariana D. Den Bleyker has a short fuse and a powerful bang that wipes out everything you think you know about typical novellas. Bleyker’s plot is slick. Henry is on the run. His wife has been murdered and no one would believe he is innocent. Why not? Well, maybe because it would not be the first time Henry has killed. He has a very dark past and that past makes Henry a man you should never trust. Henry fancies himself an artist who created exhibits…now he may begin creating canvases out of bodies. He is a dangerous man to come into contact with and as he slowly begins to lose control, the violence inside him grows and sets up a killer ending to a well-plotted, well-written piece of art. This novel is full of plot twists and is a great example of dark, twisted noir. The book is a fast, quick read but it packs the punch of novels twice its size. This novel had me guessing on which way the next chapter would turn the story and that is an extreme compliment. There is no greater compliment to pay a piece of writing than to say you hated to see it end. Did I hate to see this novella end? Hell yeah. Did I think Bleyker should have made it a longer piece of writing? Yes, but who am I to argue with near perfection? 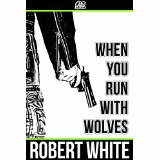 When You Run With Wolves by Robert White is the fourth release from upstart publishing company Number Thirteen Press. This was the first release from them that I don’t think fits into the noir category (much debate can happen over what fits into the noir category, but since this is my blog I will use my interpretation of noir). It was a quick read and will certainly appeal to readers who enjoy crime novels and tales of bad-luck characters. Main character, Jack Trichaud, has just committed a robbery that nets him slightly under 1 million dollars. Life must be sweet, right? Well not so quick…he has taken all the money from the robbery, despite the fact it should have been a 3-way split between him, his estranged brother, and a white supremacist. As his ex-partners, along with the obligatory femme fatale, try to locate him and force him to hand over the proceeds from the robbery, Trichaud must also deal with an FBI agent who is hot on his trail. His world is getting more closed in as his pursuers start to pt the squeeze on him. The big question is if he will make it through this with the money, or will he end up in prison, or worse, in a body bag. The plot was quick paced and enjoyable. If I had to pinpoint an area that didn’t fire on all cylinders for me, it would be the dialogue between the characters. There were points in the story that the exchange between the characters didn’t seem to ring true to me. There were times where it seemed the characters were trying to be witty, but the situations didn’t seem to warrant that type of dialogue exchange. Despite this minor area that didn’t work perfectly for me (I am sure that was just a quirk for me and others wouldn’t notice this at all), I found the book to be another fine offering from a publishing company that is publishing books that are perfectly suited for a noir lover such as myself. I am greatly anticipating the next release from this publisher. As they issue a new release on the 13th of every month, the 13th is starting to become a favorite day of mine and if you jump on their bandwagon I am sure it will become a favorite of yours. 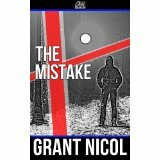 The Mistake, by Grant Nicol, is an atmospheric trip into Icelandic noir that leaves the reader’s fingers blistering as you fly thorough the pages of this well-plotted offering. The plot is lean, dialogue real, the words seem to have been painted onto the page by a master artist and the characters jump off the page. The plot is a well-known one. Girl is killed and the police find a suspect at the scene of the crime. The suspect denies his guilt and the police rush to find evidence to convict. Basic fare…right? Not in the hands of Nicol. He has added enough to this plot to bring it to life in a fresh manner and leave the reader unsure of what new twists will be coming next. I found that the cold, dark Icelandic setting helped add to the atmosphere that was being painted throughout the novel. It helped create a dark, dreary vibe that served the experience of reading the book well. The police receive a call that a young woman’s body has been mutilated and the body has been left outside of a local building. The suspect they find near the body has no forensic evidence on him to tie him to the crime, but claims to have no memory of the 15 minutes preceding him seeing the body. The suspect has a lengthy past that explains this blind spot in his memory and the threads to the story are sewn together where nothing seems contrived. The story has all the golden nuggets needed to have a dark, dreary tale (in the most positive way). Nicol has crafted a tale that has a vengeful father looking for answers and willing to find revenge in anyway he can, a cop who is desperate for answers and will look high and low for them, call-girls and pimps, and he has an eye for putting them together in a book that was enjoyable and a great introduction to this author. This is the third offering I have read from the up-and-coming Number Thirteen Press, and I am pleased to say it is the third book I have enjoyed! I am hoping this trend continues and I hope they are considering publishing more than 1 book per month…but I don’t want to look a gift horse in the mouth, as I am really enjoying what we are getting from them every month! In my opinion, the smaller publishing companies have been taking noir stories, novellas, and novels to new heights for the past 5 years. Smaller companies such as New Pulp Press, Blasted Heath, Gutter Books, All Due Respect Books (okay, you get the idea and sorry for the tons of smaller presses I love and have forgotten) have been churning out pieces of writing that are going beyond just good noir and are truly great works of literature. The two books I have read from Number Thirteen Press are putting them into the aforementioned category of great publishers as well. 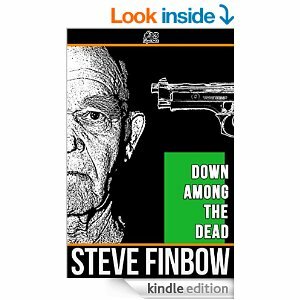 Number Thirteen Press’ second novella, Down Among the Dead by Steve Finbow is a strong offering that reminds me of a song lyric “scars are souvenirs you never lose; the past is never far” (sorry to quote the Goo Goo Dolls, but it fits this book). Michael O’Connor views the past as well, the past. His years working with the IRA are well behind him and he spends his time with bets and booze. Too bad for him there are people in his past who want to make him pay for his past…with his future. It took me a bit to get into the book, but once I sank me teeth into this tale, it was hard to put it down. As an American reader, I can have trouble with British references and that can impede the reading for me at times, but overall, I thought this book was dark and gritty…just how I like my books. The book has two storylines; Michael as he is involved with the IRA and Michael as an older gentleman just looking to pass his years away at his local pub. Both storylines were intriguing and well-written. I have sampled two offerings from Number Thirteen Press and they are batting 1.00 with two monster homerooms. Books like these just reinforce my belief that the best books are not the books that get the most press. If you love strong noir, you need to be following the smaller presses and buying their offerings on your E-devices and getting their print books when you can. If you are simply buying books at Costco or other big chains, you are missing the boat and certainly missing the present and future of great noir. I am not a highly knowledgeable man on old pulp novels and older noir, but I am starting to believe I am living in a golden age of noir fiction writing. The more I read of these smaller presses, the more impressed I am and the bigger my TBR pile gets. Bravo to Number Thirteen Press on joining the party! Superstition holds that the number 13 is an unlucky one, however, the publishers at Number Thirteen Press are looking to turn the number 13 into a lucky one for lovers of noir and pulp novellas. 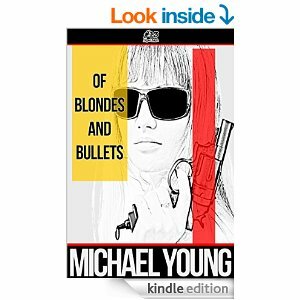 Their first offering, Of Blondes and Bullets, by Michael Young, suggests that the number 13 just may become a noir lover’s best friend. This novella is a sharp as a glass shard. From the opening scene, all the way to the denouement, the reader is treated to a book that has them rushing through the plot as if they were on a runaway train. This book has me excited to see the rest of the offerings from this publisher, who has the unique idea of publishing a new novella on the 13th of every month. I am not one for plot summaries, as I feel they can contain spoilers of plot twists that are better experienced by the reader as they enter the world created by an author. I can say that this book features a damsel in distress, a main character who does what comes naturally when he comes upon said damsel, and the aftermath of his actions that take him from “everyman” and thrusts him into a world of shadowy figures and danger at every turn. I believe that the key to the “everyman thrust into the unknown” plot is to have the main character behave in a manner that the reader can relate to and have the character think thoughts that the reader can accept and relate to. Without that connection between the main character’s actions and thoughts and the reader, the plot tends to become unbelievable and can leave the reader shaking their head in disbelief. This story never went in that direction. The main character is believable, he is not a tough guy, buy a guy who can be tough when the situation demands it of him. He shows fear, but fights against his fear when he recognizes doing so is the only option he has. 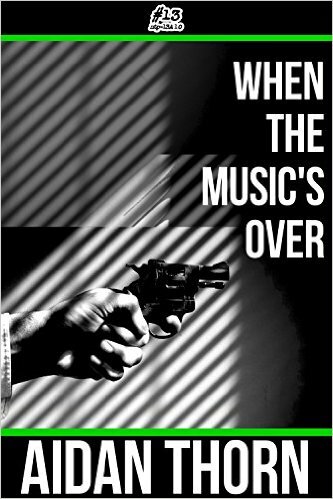 As the main character, Frank, finds himself in a bad way and faced with only violence as an answer, the author allows us into his thoughts and we feel his conflict as he thinks “At one and the same time, he felt and wished to be the kind of man who could pull the trigger and the kind of man who could not”. I loved the author’s ability to bring the character’s inner turmoil to us and allow us to see him as a man with his back to the wall with no alternatives but to reach inside himself to the dark places we would prefer to think we don’t possess. All in all, this is a strong offering from Michael Young and a great start to the Number Thirteen Press offerings. I can hardly wait to read the next offering. If there is something bad to be said about this novella, it would be that it has set the bar extremely high for the novellas that will follow. Here’s to the hope that the next twelve novellas live up to this one!